Imagine lying on a soft bed of golden sand, gazing out upon a beautiful azure ocean and a cloudless sky. You could spend your afternoons this way if you take a Spanish course in Puerto Vallarta at our centrally located school! Utterly idyllic beaches are only two minutes away from the school! Enjoy swimming, sailing, windsurfing or world-class fishing. Go snorkelling or scuba diving amongst all manner of colourful fish in the crystal clear waters. 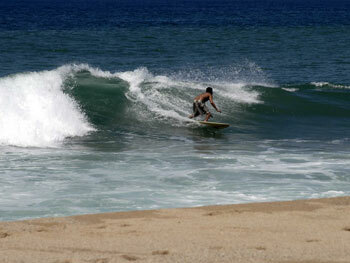 Or experience the great surfing conditions on offer at Banderas Bay, just outside the city. Puerto Vallarta is not only popular with tourists, but also with dolphin and whales, who can be seen playing off the coastline. Between the warm, welcoming waters of the Pacific and the unspoilt, forested mountainside, you’ll find busy marketplaces, beautiful whitewashed houses and some mouth-watering fish dishes! 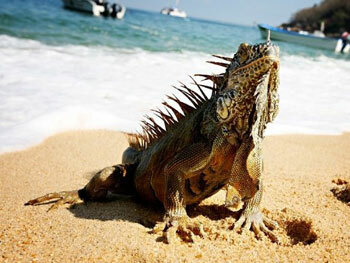 To the north of the city is the fascinating site of Ixtapa, where the enigmatic Aztatlán Kingdom once flourished. Our school enjoys an unbeatable position, in the centre of Puerto Vallarta, a mere two-minute walk away from incredible beaches and the Pacific Ocean, so you can spend your time after Spanish lessons in complete bliss on the beach. Our school occupies a traditional Mexican hacienda which has been full renovated and includes 7 air-conditioned classrooms, a roof top study and fully equipped kitchen. Free wifi access is available throughout the building. Regardless of which high-quality Spanish course you choose, the maximum class size will be just seven students. This means that you’ll have plenty of individual time with our school’s well-qualified, native Mexican teachers, helping you to progress as quickly as possible! On the Super Intensive course, your week will consist of 25 Spanish lessons, whereas the Semi-intensive program of 15 Spanish classes per week allows you more free time. You may prefer to combine your group sessions with some customised one-to-one Spanish lessons, taking either 15 or 25 group lessons and 10 Private Lessons every week. You can learn Spanish in Puerto Vallarta on a program consisting entirely of Private Lessons, giving you total control of course content and intensity. A variety of specialised Spanish courses are also on offer at our school. 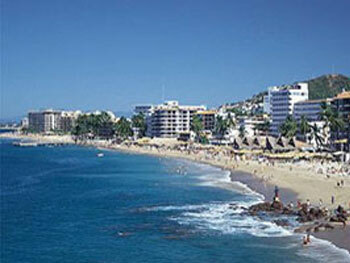 Whatever your requirements, our Spanish school in Puerto Vallarta is sure to have the right course for you! Please do not hesitate to contact us if you require further information about any of these courses. Totally immerse yourself in the Mexican culture and the Spanish language by living with a local host family! Our school carefully selects only the most welcoming families, in comfortable homes, ensuring that your stay is an enjoyable one. You’ll soon become part of the family, eating meals with your Mexican hosts and practicing your Spanish every day! Accommodation in various apartments and hotels can also be organised, upon request. Shared apartment accommodation, shared with local Mexican people is also available for students who prefer to cater for themselves during their stay in Puerto Vallarta. A range of afternoon and evening activities are offered by the school, helping you to get to know other students and the vibrant Mexican culture! There are usually salsa classes, Mexican cookery lessons, arts and crafts workshops, fiestas, picnics, social evenings and movie-nights. Optional excursions are also organised by the school. Explore the fascinating city of Guadalajara, charming mountain villages and the town of Tequila, where the famous drink of the same name is produced. 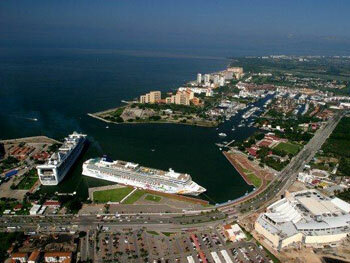 Inexpensive taxis and shuttle buses are available at Puerto Vallarta Airport. The school also offer an airport transfer service on arrival, ensuring you will be met on arrival and taken directly to your accommodation. The staff was friendly, knowledgeable, and fun. I appreciated their efforts to offer activities in the evening to practice Spanish in relaxed settings. They did a good job of creating student groups based on experience levels. The host was very friendly and accommodating, and engaged us in conversation. She did a few extra things for us and breakfast was always ready on time. It was very hot, but we got used to it and good fans were provided. The school director was very active in the school and activities, and created a very fun and lively environment for learning and engaging with other learners.